One of the bits of Gene Wolfe wisdom I regularly dredge up on here is the distinction Wolfe makes between a multi-volume novel and a series. To Wolfe, a multi-volume novel is a story with a planned beginning and end that is told over the span of multiple books, and when the story is told the books stop coming. Conversely, a series is a story told across several books in which there’s no actual end planned, and the author simply stops writing them (or engineers an abrupt conclusion The Final Problem-style) when they, their publishers or their audience get tired of the fun and games involved. Superhero comics and detective novel sequences are usually series in the Wolfean sense. In both cases, once the origin story is settled, it’s sink or swim time – either the writer comes up with a format for future adventures which they can refine and repeat indefinitely, or it becomes apparent that the origin story was the best bit and the series doesn’t have legs after that. I admit it: I was one of the rubberneckers. 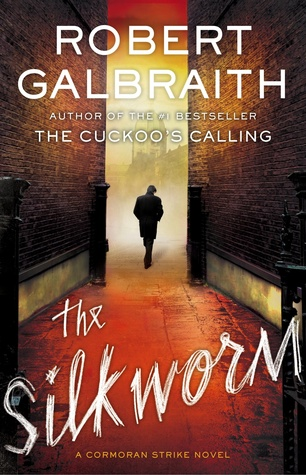 Failing to notice the existence of Robert Galbraith’s The Cuckoo’s Calling until the revelation that Galbraith was none other than J.K. Rowling in Army-themed drag, my immediate response was to hop on my Kindle and buy the thing. (It’s rather a Pavlovian response with us Kindle users actually: become momentarily interested in a book, press a button, obtain the book. Devilishly convenient.) I wasn’t sure what I was expecting, but what I got was exciting and tense for all the right reasons and uncomfortable for all the wrong reasons. 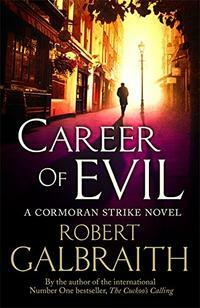 First, though, the premise: Cormoran Strike is a London-based private detective, having entered the field as a solo entrepreneur following his exit from the Army. 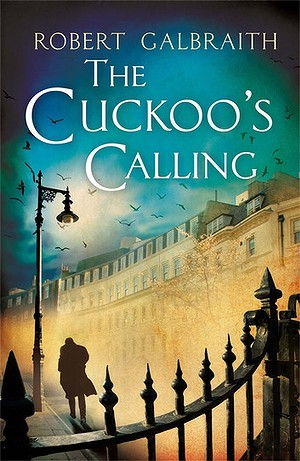 Strike has a chequered past – not least because he’s the illegitimate, only reluctantly acknowledged son of a world-famous rock star (he’s only met his dad twice, and seems to prefer it that way) and one of the most notorious “supergroupies” of the 1970s, whose overdose under suspicious circumstances kindled Strike’s latent sleuthing abilities. Strike overcame a tumultuous early life and managed to study in Oxford briefly, before dropping out and embarking on a military career which wouid see him honing his investigative skills in his capacity as an officer in the military police. Leaving the forces after an incident in Afghanistan which lost him his leg, he returned to London with the intent of finally marrying his fiancée Charlotte and starting up his own PI business.